Last year, I was informed of a blog-post on edusol.education.fr about Pepper&Carrot. 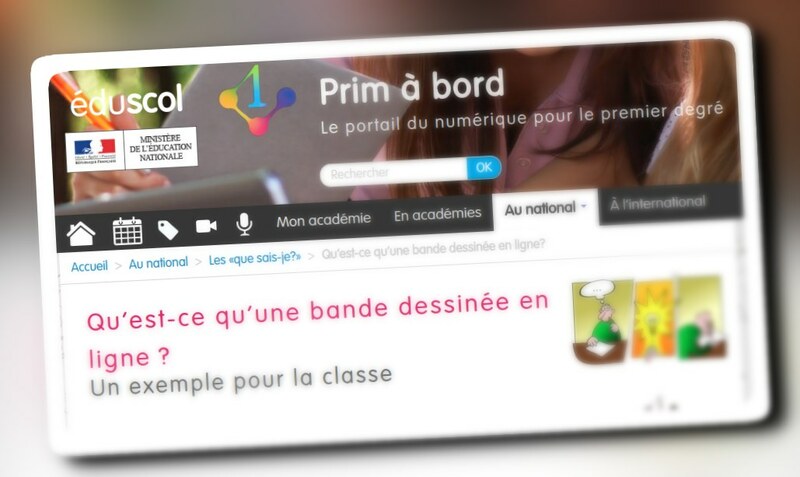 It's a portal created by the Minister of National Education in France. In this article, the author talks about "what is a webcomic" and offers Pepper&Carrot as base material for teachers and students. A usage I approve: it's a perfect example of 'derivation' allowed with the Creative Commons Attribution license I'm using for all the artworks of Pepper&Carrot! I'm even honored by this feedback and derivation. Since that time, I've received 4 emails from teachers who used Pepper&Carrot in their classrooms. They used the comic for various purposes: the most frequent use was to give an episode with empty speech-bubbles and ask the students to invent their own dialogs. A teacher also proposed exercises of drawing fan-arts, and another one used the translation system to show the differences between many existing languages. I'm really happy about this. I want to thank them for this work and their feedback. I hope this will continue. As an end note, I've pasted below the prolific collection of Jules, a student in the CM2 grade (probably 10 or 11 years old) who discovered Pepper&Carrot thanks to his English teacher. He was really creative around Carrot and made many fan-arts, derivations and cross-overs. His parents and his teacher allowed me to repost his artwork here. Thank you! Jules has a very good talent for entertainment for sure! Good to see your CC-BY grow. Hilarious nicknames :) Why does Carrot have mostly open mouth?